KNEE problems are devastating when you love being active. I know this better than most. My knee was broken in a hit and run accident on a cycling holiday in France in 2003. At the time doctors said the injury would leave me partially disabled and I could not run again. 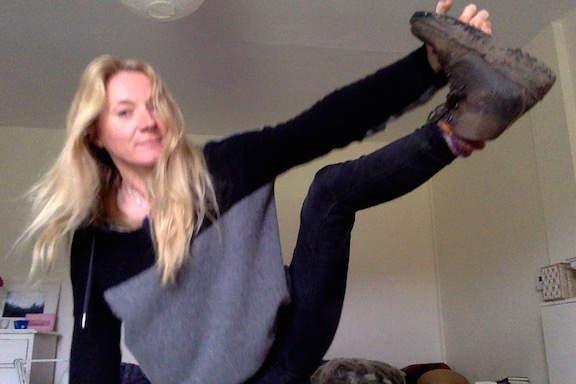 My leg was in plaster and I was forced to abandon my yoga teacher training. I was gutted. Luckily I was given a free course of a strange sounding therapy called “Shiatsu” not long after my leg came out plaster. Thanks to this, I made a full and lasting recovery. Now I teach yoga for a living and and do all the physical stuff that keeps me joyful about life. I even went on to train as a Shiatsu therapist. Today I treat all kinds of knee conditions including replacement knees, arthritis and common running injuries such as the meniscus tear. If you are suffering from knee trouble _ I’d thoroughly recommend trying Shiatsu. Don’t be put off by the strange sounding name. It is a wonderfully enjoyable treatment using acupressure points, stretches and gentle manipulations to reduce pain and swelling and heal trauma from injury or surgery. Treatments are effective because they work the whole body not just the injury. 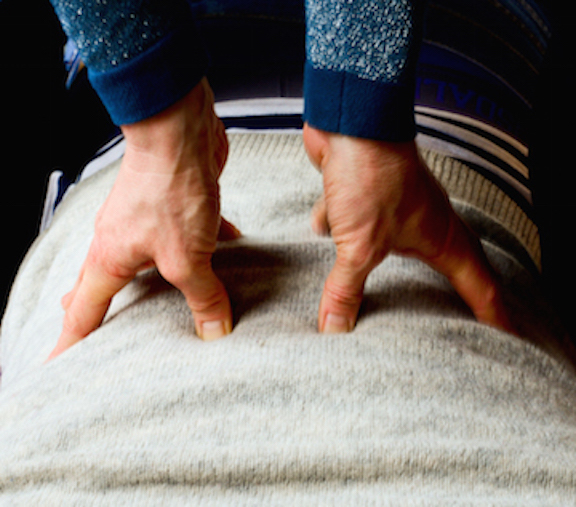 In this way Shiatsu releases tension and realigns shoulders, lower back, thighs, hips, feet and ankles. Often hidden problems in these areas contribute to knee trouble. Obviously, I’m a bit biased about the benefits of Shiatsu. 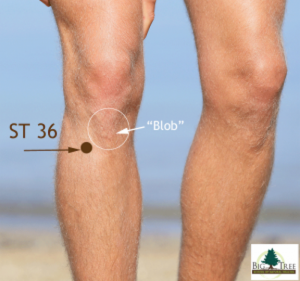 Here is some information about the people with knee problems I’ve been able to help. Liz Rogerson is in her 60s awaiting knee surgery for severe arthritis. She loves the outdoors and hill climbing. Monthly Shiatsu significantly reduce pain and enable her to move normally for periods of time. Liz books treatments before holidays and walking expeditions so she can keep going. On one occasion she was able to spend a weekend climbing steep hills in Abernathy after just one hour of Shiatsu. She said: “I am usually in constant pain and unable to walk or stand longer than 30 minutes. Following sessions I have less pain in my knee and can walk further.” Treatments also smooth out tension in the lower back, shoulders and neck which are aggravated by discomfort in the knee. Six years after knee replacements, Hannah, was struggling with simple movements such as kneeling and getting up and down from the floor. After half a dozen Shiatsu treatments she was able to kneel and stand up at normal speed and without support. Beryl came to me a few weeks after a replacement knee operation – to help with pain and healing. After a few sessions the pain was much reduced and she was able to move confidently again. Shiatsu helped Yoga teacher Jim Tarran recover from knee surgery after a motorcycle accident. Jim Tarran had a knee injury after a motor bike accident. Normal movement was restricted and he was in pain. This made work as a yoga teacher very difficult. He said three Shiatsu treatments shortly after surgery helped healing, reduced inflamation, swelling and pain. “Sessions with Heidi are profound and deeply therapeutic. She is is a super sensitive therapist. She really helped me get over knee surgery. I would commend her to anyone,” he said. A WOMAN with cancer contacted me today to say regular Shiatsu is “helping a lot” with the horrible side effects of treatment. Amanda is an active woman in her late 60s. She is having chemotherapy for Myeloma – a cancer which starts in the bone marrow. She is also taking part in a case study to investigate the possible benefits of Shiatsu for her symptoms. After just four sessions in three months, crashing fatigue, anxiety, shakiness and agitation are markedly improved. “The treatment made me bonkers,” said Amanda at the beginning of her first Shiatsu session in mid August 2017. Feelings of agitation, “inner shakiness” and overwhelming tiredness were getting her down. Sleep was messed up and she was waking three or four times a night. Digestion was also disturbed with constipation, burping and acidity. Last but not least, facing her mortality was dampening her mood. “I feel fed-up at times. But the last thing you want to do is to dwell on the situation,” she said. Sleep is still rubbish and the anxiety is still there. Amanda feels “jittery and shaky.” Tiredness is ongoing and she’s having to go to bed in the afternoon, which is “waste of time” she says. Overall things are “not bad” she concludes. Amanda picked up a chest infection just before the session – but up until then reported feeling great. Shakiness is a lot better. Sleep is disrupted with waking at 4am -but this is a marked improved from waking 3 or 4 times a night. She is very tired at 3pm in the afternoon and but no longer needs to lie down. Amanda is feeling very positively about the benefits Shiatsu. Most important her blood cells are returning to normal. Although myeloma and it’s treatment is very complex, my Shiatsu approach is simple and down to earth. I work methodically to relieve individual symptoms, using acupressure points and stretches to stimulate or soothe. The main focus in the early stages was to calm the agitation of the nervous system, create a nurturing experience to relieve the jitters. In turn this would impact on digestion and tiredness by allowing proper restful sleep. To achieve this there was was a big focus on the spleen and the heart. As well as physical technique, I also believe it’s important to listen properly to the whole of the person, not just the “cancer”. For example, attending to a dry cough, sadness over a marriage break-up, worries about family. I also offered suggestions about yoga exercises to improve healing, such as supported chest openers to release tension in the arms and chest. The case study is not complete – more to follow. TO CELEBRATE great results for a woman in excruciating pain with scoliosis, I am offering half price therapy to people with the spinal condition. When my client in her 70s came for her first treatment last week she said morphine was the the only thing that gave relief. Pain levels ranked at the most severe 10 – on a scale of zero to 10. To make life bearable, the grandmother usually takes morphine 30 minutes after waking. Amazingly, the day after the first Shiatsu, her back pain was so much reduced she totally forgot to take morphine. And my client didn’t even realise until around midday after a busy morning in Dundee. Four days on – she has reported that back pain seems better. To help me investigate the benefits of Shiatsu for scoliosis on a bigger scale, I will be offering half price treatments to people with the spinal condition during November 2017. Please share this offer with family and friends who might benefit. 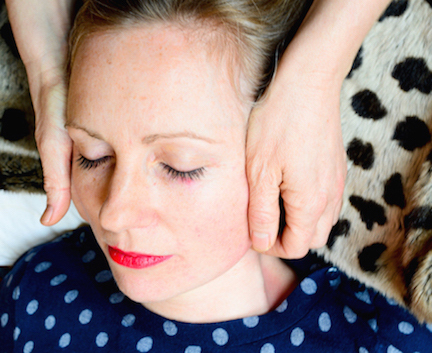 Shiatsu is a hands-on therapy from Japan using acupressure points, stretches and manipulations. It is performed through clothes on a futon. It is both thoroughly enjoyable and relaxing – and effective. Treatments work the body from head to toe, on the side, back and front. 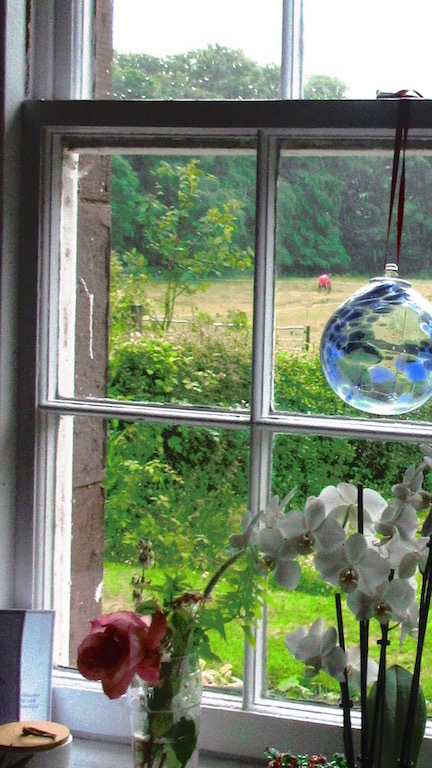 Sessions are held in a beautiful Fife-based studio in the coastal village of Balmerino, just a few miles from Dundee. Allow 90 minutes for the first treatment, which will also include tailored advice on gentle stretches and exercises to help the condition such as a baby cobra. 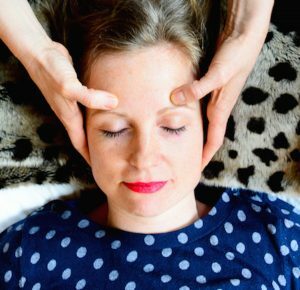 Shiatsu is a holistic therapy which means every session also aims to improve wider physical and emotional health issues such as low mood and energy, poor sleep patterns and digestion. A groundbreaking study at Britain’s biggest NHS trust has found Shiatsu reduces pain, anxiety and stress for people with cancer. The hands-on Japanese therapy also improved sleep, confidence and gave patients at Barts Health NHS Trust in London a greater sense of wellbeing. “Treatments really helped with oedema, which was quite limiting. Pain relief has also been very effective. The quality of my life has improved,” said one participant. The study involved 44 men and women having chemotherapy for a range of different cancers or in palliative care. Participants had six sessions, approximately once a fortnight. 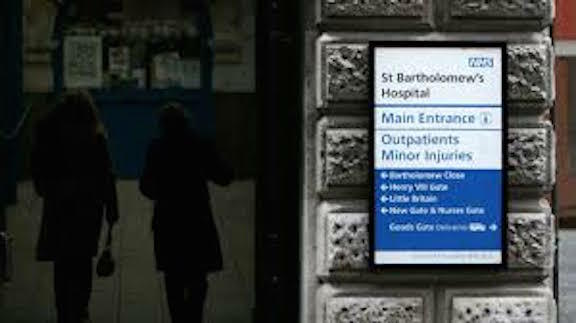 Hour long appointments were in an NHS out patients clinic at St Barts. Shiatsu helped fatigue and neuropathy – but symptoms that benefited most were stress, anxiety and pain. There were “highly significant” increases of two points on the Likert Scale which gives patients six options ranging from 0 – not bothering me to 6- bothering me greatly. One person went from 6-1 after Shiatsu. Average scores improved from from a bothersome 4.5 before treatment to a much improved 2.2 after a course of treatments. Neil Browne is a clinical lead therapist at St Barts and one of the team of six conducting the study. He said the “significant improvements in both presenting symptoms and perceptions of well being” suggested more research was needed to build on the evidence. The European Journal of Integrative Medicine has published a summary of the research. The full study will be published in 2018. The cancer charity Penny Brohn UK says Shiatsu is popular with patients. It says the reported benefits include improved energy, confidence, symptom control, relaxation and clarity of thought.